Cindy Fisher has been busy the past few months. She has been in and out of industry conferences and webinars and spends hours reading posts online as she works to get a medical practice ready to operate under the new reimbursement approach under Medicare. The change represents the first comprehensive update to the federal health program in decades. "I have been attending everything that's available to me and spend weekends catching up on my actual job," said Fisher, a practice administrator at a two-provider urology practice in Pennsylvania. "I'm really worried I don't have everything I need in place." She isn't alone. More than halfway through the first year of the rollout of the Medicare Access and CHIP Reauthorization Act, fewer than 1 in 4 physicians interviewed for a recent American Medical Association study said they were prepared to meet statutory requirements this year. The revelation could mean that many will face a financial penalty in 2019, which is when 2017 compliance will be monetarily enforced. "There are still many providers out there who are not aware of the full requirements of MACRA. There is still some level of confusion about what it even is," said John Feore, a director at Avalere Health. "I know of some physicians that were under the impression that Republican efforts to repeal the ACA would mean they wouldn't have to do anything." Clinicians who accept Medicaid must begin to comply with the law within the next six weeks or else they could face millions in penalties. However, continued unfamiliarity with the changes and slow movement by electronic health record vendors to implement quality measures put them at risk of missing that window. 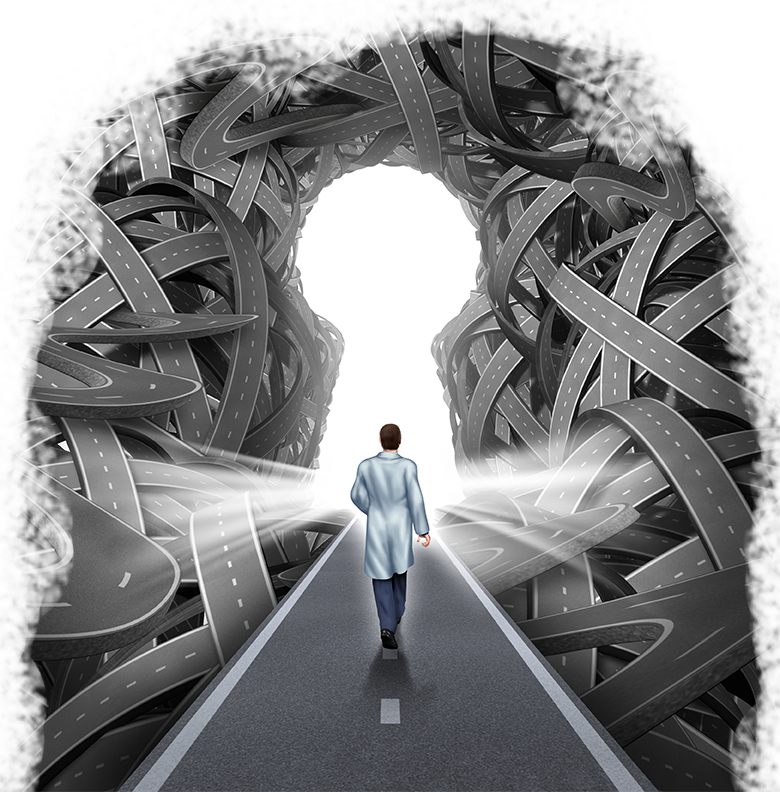 MACRA's approach to reimbursing physicians is here, but many doctors and administrators are still trying to get a handle on how it works. MACRA become law in 2015, establishing the Quality Payment Program and dumping the disliked sustainable growth-rate formula for determining physician pay that had long been in place but regularly overridden by Congress. Under the Quality Payment Program, providers can participate in either the Merit-based Incentive Payment System, known as MIPS, or what is called an Advanced Alternative Payment Model. One challenge under MIPS is that providers must find ways to financially offset the decreased utilization of acute-care services that the system encourages. Providers have to start reporting data under MIPS by Oct. 2. An Advanced APM is an innovative payment model under which the practice must take on risk, which means they would lose money if they don't hit certain targets. Advanced APMs reimburse clinicians for total episodes of care for surgical procedures such as knee replacements or to better the overall care experience for a patient. An example of an Advanced APM is an accountable care organization, which reimburses providers on how well they coordinate care for a patient. Based on the risks under this model, providers and health systems that have the most experience with two-sided risk arrangements are most likely to pursue them. 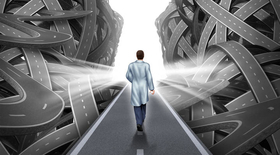 A key reason some are struggling to be ready to implement MACRA's Quality Payment Program is that EHR vendors have not been ready to make the changes, some users say. Most EHRs "were not built to support a clinical-care function and a reporting function," said Dr. Robert Weil, senior vice president and chief medical officer of Catholic Health Initiatives, Englewood, Colo. Similarly, Dr. Ken Yanagisawa, managing partner of a surgery group, said working with his EHR vendor has been frustrating. "The biggest challenge is our EHR vendor, who in my mind is the magic key to success to this whole project," said Yanagisawa who oversees the Southern New England Ear, Nose, Throat & Facial Plastic Surgery Group in Connecticut. He said he feels ready to implement MIPS, but his EHR isn't ready to track and report on the quality measures he chose to comply with in the program. He declined to name his vendor in hopes that things will turn around. EHR companies reject the notion that they are a stumbling block to the industry and say that generally they are ready to help their customers comply with the law. However, if there are instances where that it's not the case, it is because the CMS releases new rules that have tight implementation timelines. "We receive final rules very late in the game," said Jackie Lichwell, senior manager for quality performance at Athenahealth. "We really wish that they would stick to what they say they are going to stick to so that we can best prepare, so we have the lead time to support our clients." Dr. Ashwin Gowda, who has a solo practice in sleep medicine in Austin, Texas, said that he is relying on Athenahealth to make sense of the CMS regulations. "We get told what the requirements are, but CMS doesn't really provide us the resources to go about meeting them," Gowda said. "I don't feel supported by them. I'm basically told what I need to do to get paid." For others, the issue isn't whether their vendor is ready, it's if they can afford one in the first place. Costs have been such a concern nationally for small practices that the CMS cited it as a reason for allowing as many as 800,000 clinicians to not participate. The CMS is now proposing that physician practices with less than $90,000 in Medicare revenue or fewer than 200 unique Medicare patients per year be exempt from the quality reporting system under MACRA. The current threshold was $30,000 or fewer than 100 Medicare patients. "We have heard from small and rural practices that the current threshold is too low and that they are still struggling to purchase EHR systems," Dr. Kate Goodrich, chief medical officer at the CMS, said at a bundled-pay summit earlier this summer. "They don't see enough Medicare beneficiaries to make it worth that cost." The cost of implementing an EHR system in an average five-physician primary-care practice is about $162,000 with an additional $85,500 in maintenance expenses during the first year, according to an Agency for Healthcare Research and Quality analysis. Because so many providers have been given an out, the CMS feels that those that remain should be prepared to comply with the law. It estimates that at least 418,849 providers will still report under MIPS and up to 245,000 will meet the requirement for an Advanced APM. 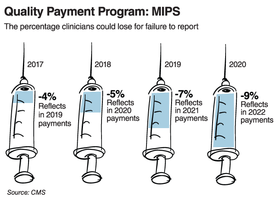 "Based on the flexible policies for the transition year, we anticipate that most practices are ready to at least meet the minimum requirement to avoid a MIPS negative payment adjustment," an agency spokesman said. Given the program's complexity, some providers would like to see a little less fine-tuning early on. The agency needs to find a better balance between responding to provider concerns and changing the program so much that it throws off providers who felt ready to comply with the law, said Merrin Permut, executive director of the Legacy Health Partners physician network at Legacy Health, a seven-hospital health system based in Portland, Ore.